Editor's Note: We're excited to welcome Nick and Dariece, famously known on the Web as "Goats on the Road." Their pieces will appear periodically on TravelPulse as they tackle new adventures around the world. Our bags already felt heavy, the straps sinking deep into the muscles of our shoulders. We both smiled as we looked around at the gorgeous scenery that surrounded us. Misty raindrops fell from the dark clouds above and found a home on our faces before trickling down our cheeks, leaving a cool wake behind them. Ahead of us, we saw mile after mile of green rolling hills. Our epic 125 kilometer trek had only just begun, and we were excited for the challenge that was waiting for us over each grassy dune. My wife and I had been planning this independent journey for months. We had scanned thousands of kilometers of the Mongolian steppe from space, using Google Maps, and we eventually settled on this route along the Chulut River. 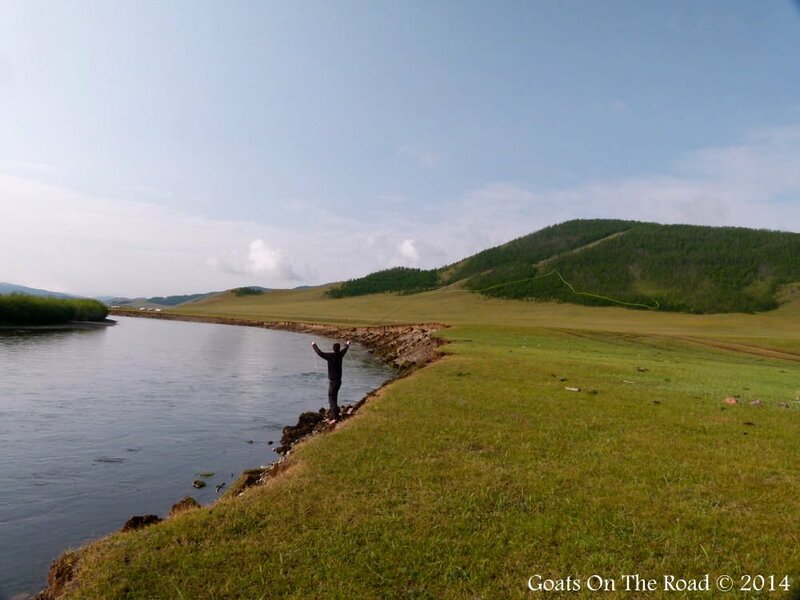 The journey would take us from a small village in central Mongolia, all the way up to the town of Tariat, near the great Terkhin-Tsagaan Nuur Lake in the Khangai Mountains. We had somehow managed to pack cooking supplies, food, clothing, a tent, sleeping bags, a map and a compass into our small travel backpacks. We figured the trek would take us eight days and we had planned the trip down to the last detail. What we hadn't planned for was the rain. PHOTO: Our first campsite. Already, after just one day of trekking, our feet were tired and our bodies were wet, despite our rain gear. We set up our first campsite in the middle of nowhere and proudly stood by our tent after it was fully pitched. We stared out 360 degrees around us and saw gers (yurts) scattered over the green grasslands. The Chulut River split through the Earth and marked our trail. The smell of wet grass and the smoky aroma of burning wood filled the cool evening air. Our stomachs growled and churned and we knew it was time to eat. We lit our small cooking stove and began to boil water for dinner. As the steaming liquid started to bubble, we heard the rumble of a motorbike coming towards us. 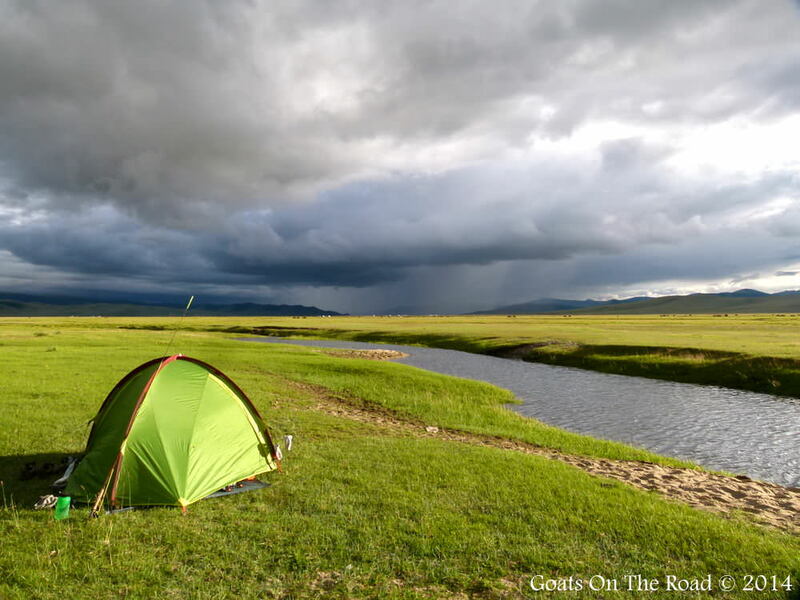 We stood up and peered over our tent and saw a family of 4 riding in our direction. It was a father and 3 boys and they came bearing gifts. The youngest boy was on the very back of the bike and had a bundle of firewood caught in his grasp. As his father's motorcycle came to a halt beside us, the boy dropped the load with a sigh, relieved to free his arms from the weight. The man and his three sons spoke no English, but they smiled as they got off of the motorcycle and silently lit our campfire for us. After their work was complete, they each ceremoniously shook my hand and bid us farewell. This was the type of silent conversation and generous support that we would come to expect on our journey into the Mongolian Steppe. As the days passed, we found ourselves getting further from the city lights and closer to nature and the unique community of nomadic Mongolia. Every night when we stopped to set up camp in a different part of the steppe, a new family would come to greet us. Only once did the visitor speak English, but every time there seemed to be a connection and a respect for what we were doing. Mongolians live and die by the land and although they seemed confused that we didn't have a horse, they admired our spirit and our obvious appreciation for their wild outdoors. We would try to explain our journey with hand motions and what little Mongolian language we had picked up and they would always smile and congratulate us with a handshake or a pat on the back. In the late afternoons I would set up my fly rod and head to the river banks to try my luck at fishing. These waters are famous for Taimen, the world's largest freshwater trout. With each flick of the rod, my line rolled over the water and landed quietly on the surface. The cool raindrops continued to wet my face and the views all around me were spectacular. Spears of sunlight split the dark clouds and radiated whatever part of the steppe they touched, while the river rolled past with a trickling melody that would almost put me to sleep. The silence was only broken when a fish would take my fly and start my reel screaming. If the fish landed was large enough, it would be dinner that night. PHOTO: Fly fishing on the Steppe. Fly fishing was a great way to connect with the local nomads on our trek. Most of them had seen some sort of fishing before, but the strange reel, thick line and odd casting technique was always new to them. On one particular afternoon, a local herder was so curious about this new style of fishing that I decided I would teach him to fly fish. He took me to his favourite fishing spot and together we took turns casting the line onto the water. When I was the only one to come out with a fish, he seemed frustrated with himself and he wanted to try more. I'm sure if I had left him with my gear, he would be an expert fly fisherman by now! Each evening, as the sun set over the steppe, it illuminated the clear parts of the sky and painted our views with brilliant pinks, oranges and yellows. Luckily during the trek, the rain would usually let off just in time to treat us to a beautiful sunset. At around 11:00 at night, when the light from the sun was finally gone, the pitch black sky was sprinkled with a thousand glimmering specks. The stars on the steppe were some of the brightest we've ever seen and every night we would light a camp fire and gaze up at them while cuddling together for warmth. PHOTO: The Steppe illuminated by the sun. As we neared the end of our journey, our feet were becoming blistered and our clothes stunk from the constant damp. Shortly after each rain, hundreds of thousands of flies would come out from their hiding spots and follow us around in buzzing black clouds. Luckily they would always give up after about an hour and we'd again be free of the annoying pests. No matter how many bugs found us, how wet we became, or how sore our feet were, we never lost sight of the amazing journey we were on. We met countless families and we were always invited into their round, felt homes. They showed us how to churn milk into butter, how to skin a goat and how to live off of the land. Compared to families where we come from, these nomads had very little, and yet they were some of the wealthiest people we had ever met because they had everything they needed. They spent every waking moment with the people they love and their hard work gave them something to be proud of. They loved to show us how many animals they have, how strong they are and how masterful they had become on the back of their horses. PHOTO: A nomad and a nomad's best friend. 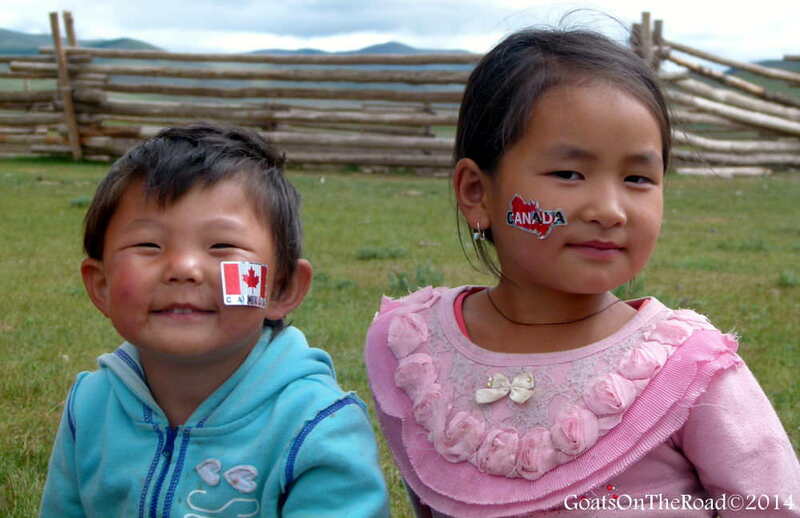 Mongolians are proud, happy and free. After eight days of trekking deep into the unknown Mongolia, we could finally see our end destination. Terkhin Tsagaan Lake glimmered in the distance like an oasis. It seemed to take forever to reach the lake after we had originally spotted it, but it was a relief to finally step foot on its shores. At last we could rest our feet and our aching muscles. We were able to dry out in a yurt made for tourists, complete with a warm stove, a soft bed and a hot shower! 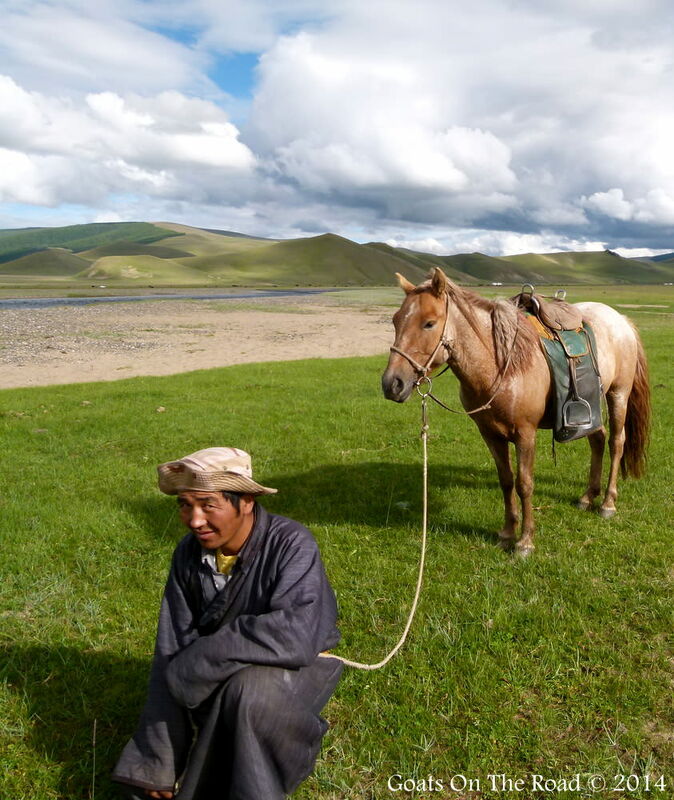 Through all of the challenges that we faced on our epic eight-day trek into the Mongolian steppe, what stood out for us most was the people. The connections we felt with the local nomads and the respect we found for their way of life will stay with us forever and hopefully we made an impression on them as well. Who knows, maybe my fly fishing friend has bought his own rod and is now hunting for the illusive Taimen somewhere along the Chulut River. One thing is for sure, this journey will stay with us for the rest of our lives and we will never forget the kind, knowledgable and loving families that we met along the way. Happiness comes in many forms, and on the steppe we were reminded that you need to spend time doing what you love, while being surrounded by the people you love. 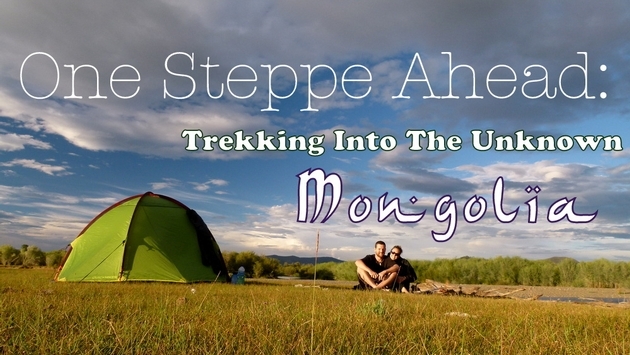 Looking back at our adventure now, we realize that we found out a lot about ourselves on this journey, and we're happy to say that like the Mongolian nomads, we continue to live a life of freedom, travel & adventure. For more information on this amazing country, check out our Independent Guide to Trekking in Mongolia and our Backpacking Guide to Mongolia. Nick and Dariece are the nomadic couple behind Goats On The Road, a website designed to help others live a financially sustainable, location independent lifestyle. 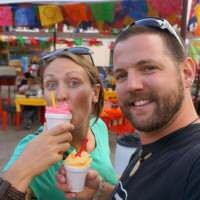 Masters at making money abroad and travelling forever, they've been on the road for over 4 years and have travelled to some of the least visited places on Earth, finding adventure wherever they go. 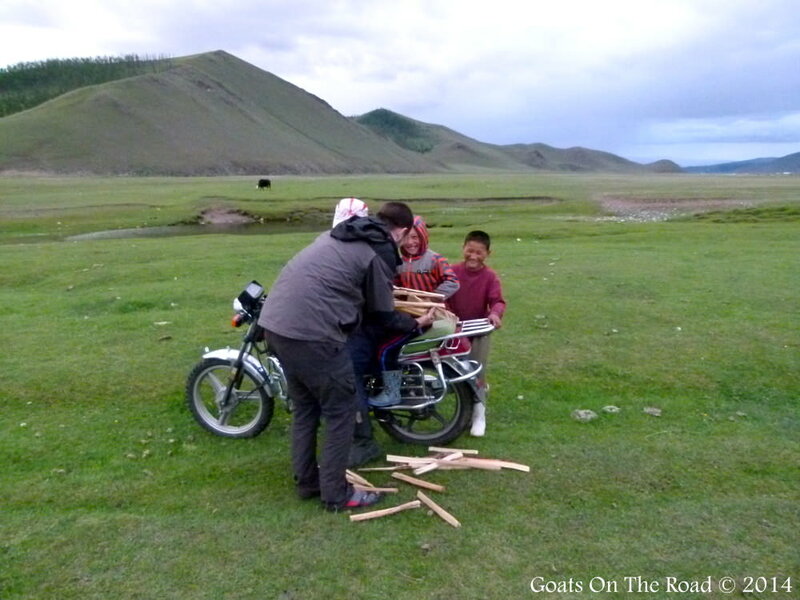 Check them out at www.GoatsOnTheRoad.com and follow them on Twitter, Facebook and YouTube.